You can never go wrong with a nice pair of black jeans, there are hundreds of ways to style them and I constantly find myself returning to black jeans when I'm stuck in a fashion rut. 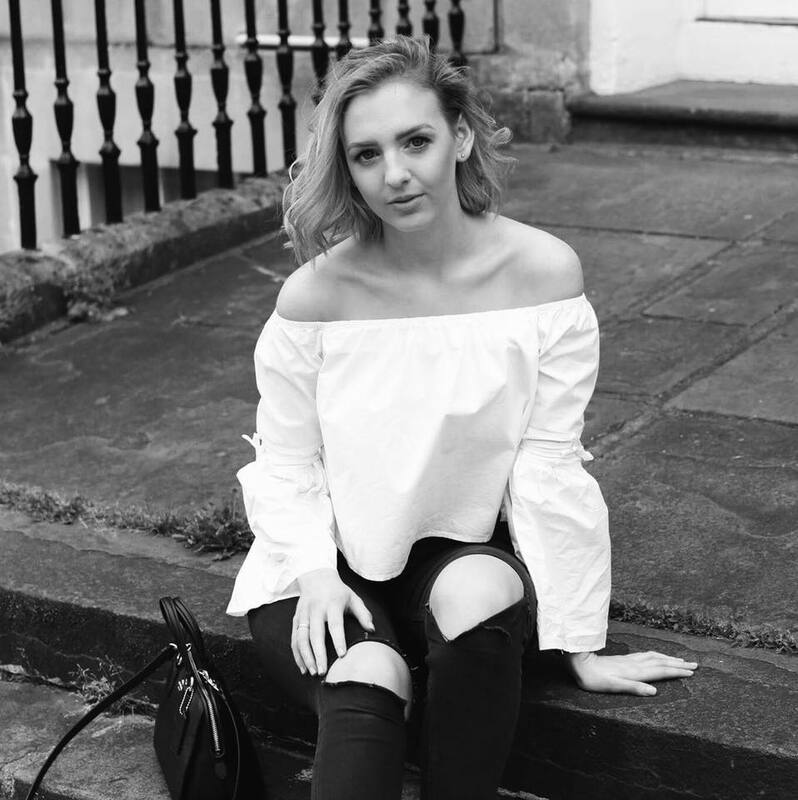 It is safe to say that black jeans are a staple piece in my wardrobe and that's why finding the perfect pair is so important as a good pair will never let you down. 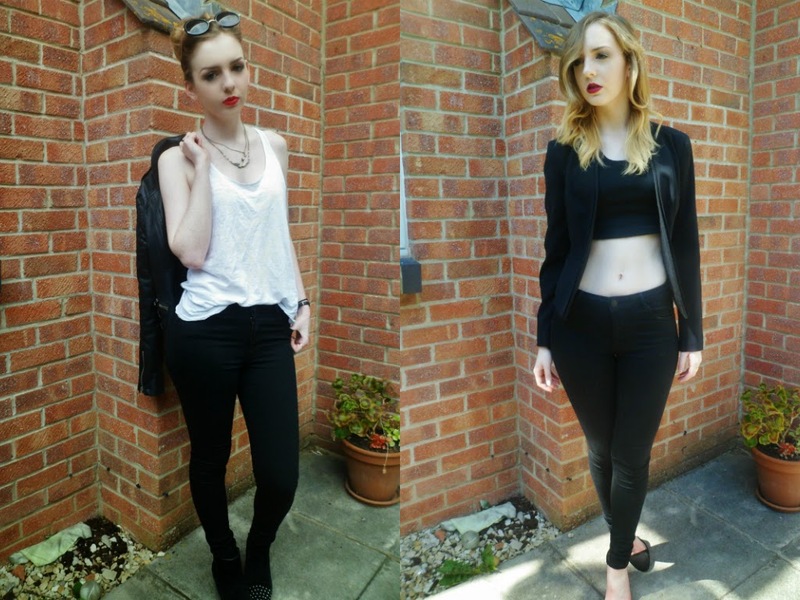 So instead of showing you a hundred different ways in which to style your classic skinny black jeans (because let's face it we would be here all day), I decided to focus in on two ways in which to style black jeans: day and night/smart and casual. The first look is a more casual daytime look, created by pairing a basic white vest with the jeans and some layered jewelry. When it comes to wearing basic items like a vest and jeans, I think that it's nice to go all out with the jewelry, and as you can see from the pictures below I've stacked my necklaces, rings and bracelets. Layering jewelry can be a bit scary, but if you stick to similar styles and tones then its difficult to go wrong! The second outfit is more of a night outfit, perfect for drinks or a meal out. I love this outfit because it's smart and elegant but still shows a bit of flesh. If you were however a bit self conscious about exposing your stomach then this outfit would still look great with a simple black shirt. I don't think my love for black jeans will ever fade and that I will be wearing this lovely pair from Warehouse at least a couple of times a week for the foreseeable future! How do you style black jeans?